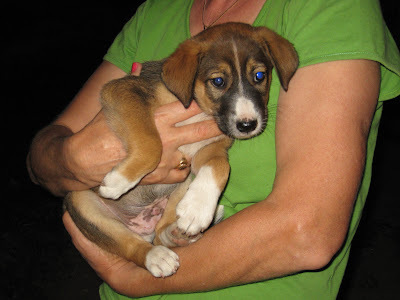 Adopt a Romanian Dog: In Memory of Rob, little puppy we were hoping someone would adopt, to enable him to get off the streets...Today he was poisoned, today he died. In Memory of Rob, little puppy we were hoping someone would adopt, to enable him to get off the streets...Today he was poisoned, today he died. Today Rob, one of the three musketeers that we were looking for a forever home for was poisoned. He died today, yesterday he was fine, today he is gone. All because of the sick mentality of too many in Romania. He leaves behind two sisters who need forever homes and Alex his loving carer who was there to hold him in her arms when this sweet angel died.